Providing unconditional care for vulnerable people via late night patrols in Kingston upon Thames. 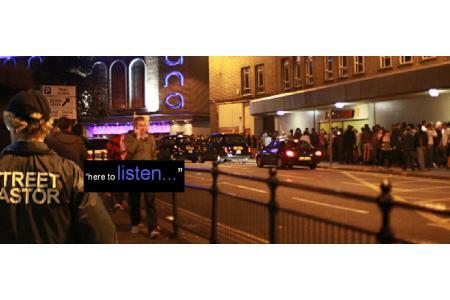 To offer unconditional care, listen to and help people who are vulnerable to or from other people in the Kingston Town Centre from 10pm to 4am on Friday and Saturday nights. Street pastors interact with the public enabling the team to challenge behaviour with humour, love, lollies and flip flops resulting in reduction of fear and anti social behaviour. Since starting patrols on Kingston, anti social behaviour and fear has reduced and continues to remain low. We offer re-assurance, care and assistance when most needed, since starting engaging with over 28500 people. Reduction in anti-social behaviour, reported lives saved, offered first aid on many occasions, reduced hospital attendance, annual report available for figures. We are recruiting for street and prayer pastors, and a fundraiser, application forms are available from our website, references are required form your church leader.